（1） Yokoi H, Kasahara M, Mori K, Kuwabara T, Toda N, Yamada R, Namoto S, Yamamoto T, Seki N, Souma N, Yamaguchi T, Sugawara A, Mukoyama M, Nakao K. Peritoneal fibrosis and high transport are induced in mildly pre-injured peritoneum by 3,4-dideoxyglucosone-3-ene in mice. Perit Dial Int 33:143-154, 2013. （1） Ogawa Y, Mukoyama M, Yokoi H, Kasahara M, Mori K, Kato Y, Kuwabara T, Imamaki H, Kawanishi T, Koga K, Ishii A, Tokudome T, Kishimoto I, Sugawara A, Nakao K. Natriuretic peptide receptor guanylyl cyclase-A protects podocytes from aldosterone-induced glomerular injury. J Am Soc Nephrol 23:1198-1209, 2012. （2） Kuwabara T, Mori K, Mukoyama M, Kasahara M, Yokoi H, Saito Y, Ogawa Y, Imamaki H, Kawanishi T, Ishii A, Koga K, Mori KP, Kato Y, Sugawara A, Nakao K. Exacerbation of diabetic nephropathy by hyperlipidaemia is mediated by Toll-like receptor 4 in mice. Diabetologia 55:2256-2266, 2012. （3） Yokoi H, Kasahara M, Mori M, Ogawa Y, Kuwabara T, Imamaki H, Kawanishi T, Koga K, Ishii A, Kato Y, Mori KP, Toda N, Ohno S, Muramatsu H, Muramatsu T, Sugawara A, Mukoyama M and Nakao K. Pleiotrophin triggers inflammation and increased peritoneal permeability leading to peritoneal fibrosis. Kidney Int 81:160-169, 2012. （1） Mori K, Mukoyama M, Nakao K. Commentary: PPAR-γ transcriptional activity is required to combat doxorubicin-induced podocyte injury in mice. Kidney Int 79: 1274-1276, 2011. （2） Naito M, Fujikura J, Ebihara K, Miyanaga F, Yokoi H, Kusakabe T, Yamamoto Y, Son C, Mukoyama M, Hosoda K, Nakao K. Therapeutic impact of leptin on diabetes, diabetic complications, and longevity in insulin-deficient diabetic mice. Diabetes 60:2265-2273, 2011. （3） Maki T, Ihara M, Fujita Y, Nambu T, Miyashita K, Yamada M, Washida K, Nishio K, Ito H, Harada H, Yokoi H, Arai H, Itoh H, Nakao K, Takahashi R, Tomimoto H. Angiogenic and vasoprotective effects of adrenomedullin on prevention of cognitive decline after chronic cerebral hypoperfusion in mice. Stroke 42:1122-1128, 2011. （4） Maisel AS, Nakao K, Ponikowski P, Peacock WF, Yoshimura M, Suzuki T,Tsutamoto T, Filippatos GS, Saito Y, Seino Y, Minamino N, Hirata Y, Mukoyama M, Nishikimi T, Nagai R. Japanese-Western consensus meeting on biomarkers. Int Heart J 52:253-265, 2011. （1） Yokoi H, Kasahara M, Mukoyama M, Mori K, Kuwahara K, Fujikura J, Arai Y, Saito Y, Ogawa Y, Kuwabara T, Sugawara A, Nakao K. Podocyte-specific expression of tamoxifen-inducible Cre recombinase in mine. Nephrol Dial Transplant 25 2120-2124, 2010. （1） Kuwabara T, Mori K, Mukoyama M, Kasahara M, Yokoi H, Saito Y, Yoshioka T, Ogawa Y, Imamaki H, Kusakabe T, Ebihara K, Omata M, Satoh N, Sugawara A, Barasch J, Nakao K. Urinary neutrophil gelatinase-associated lipocalin levels reflect damage in glomeruli, proximal and distal nephrons. Kidney Int 75:285-294, 2009. 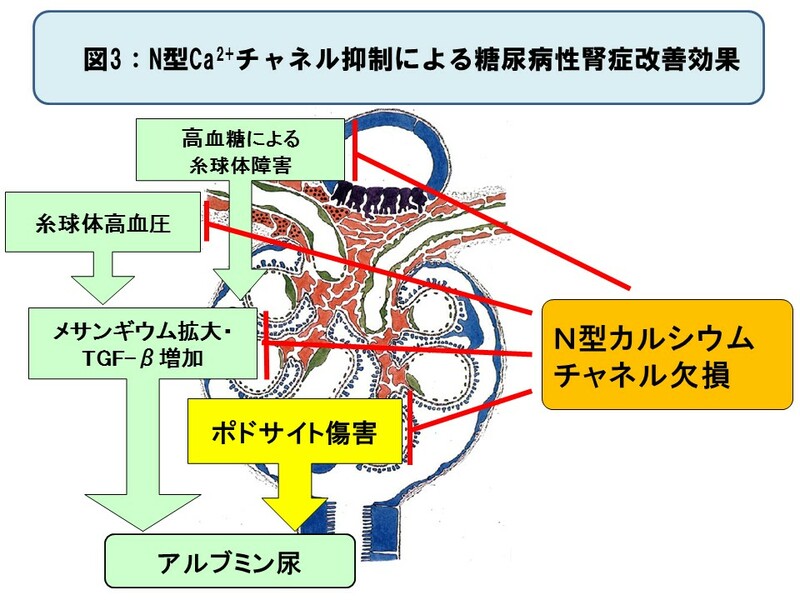 （2） Kasahara M, Mori K, Satoh N, Kuwabara T, Yokoi H, Shimatsu A, Sugawara A, Mukoyama M, Nakao K. Reduction in urinary excretion of neutrophil gelatinase-associated lipocalin by angiotensin receptor blockers in hypertensive patients. Nephrol Dial Transplant 24:2608-2609, 2009. （1） Yokoi H, Mukoyama M, Mori K, Kasahara M, Suganami T, Sawai K, Yoshioka T, Saito Y, Ogawa Y, Kuwabara T, Sugawara A, Nakao K. Overexpression of connective tissue growth factor worsens diabetic nephropathy in mice. Kidney Int 73:446-455, 2008. （2） Nagae T, Mori K, Mukoyama M, Kasahara M, Yokoi H, Suganami T, Sawai K, Yoshioka T, Koshikawa M, Saito Y, Ogawa Y, Kuwabara T, Tanaka I, Sugawara A, Kuwahara T, Nakao K. Adrenomedullin inhibits connective tissue growth factor expression,extracellular signal-regulated kinase activation and renal fibrosis. Kidney Int 74:70-80,2008. （1） Mori K, Nakao K, Neutrophil gelatinase-associated lipocalin as the real-time indicator of active kidney damage. Kidney Int 71:967-970, 2007. （2） Sawai K, Mukoyama M, Mori K, Kasahara M, Koshikawa M, Yokoi H, Yoshioka T, Ogawa Y, Sugawara A, Nishiyama H, Yamada S, Kuwahara T, Saleem MA, Shiota K, Ogawa O, Miyazato M, Kangawa K, Nakao K. Expression of CCN1 (CYR61) in developing, normal, and diseased human kidney. Am J Physiol Renal Physiol 293: F1363-1372, 2007. （3） Schmidt-Ott KM, K.Mori, Li JY, Kalandadze A, Cohen DJ, Devarajan P, J.Barasch. Dual action of neutrophil gelatinase-associated lipocalin. J Am Soc Nephrol 18: 407-413, 2007. （4） Lee S, Lee J, Kim S, Park JY, Lee WH, K.Mori, Kim SH, Kim IK, Suk K. A dual role of lipocalin 2 in the apoptosis and deramification of activated microglia. J Immunol 179: 3231-3241, 2007. 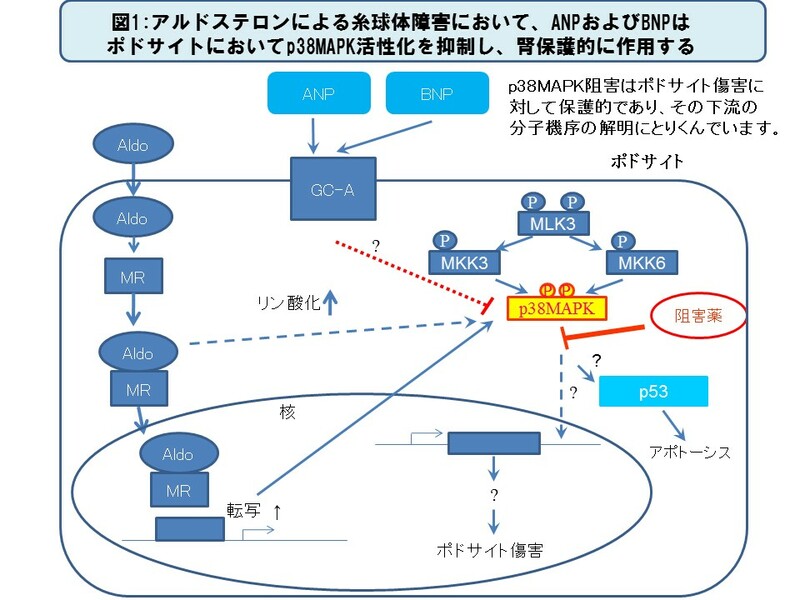 （1） Makino H, Mukoyama M, Mori K, Suganami T, Kasahara M, Yahata K, Nagae T, Yokoi H, Sawai K, Ogawa Y, Suga S, Yoshimasa Y, Sugawara A, Tanaka I, Nakao K. Transgenic overexpression of brain natriuretic peptide prevents the progression of diabetic nephropathy in mice. Diabetologia 49: 2514-2524, 2006. （2） Makino H, Miyamoto Y, Sawai K, Mori K, Mukoyama M, Nakao K, Yoshimasa Y, Suga S. Altered gene expression related to glomerulogenesis and podocytes structure in early diabetic nephropathy of db/db mice and its restoration by pioglitazone. Diabetes 55:2747-2756, 2006. （3） Sawai K, Mukoyama M, Mori K, Yokoi H, Koshikawa M, Yoshioka T, Takeda R, Sugawara A, Kuwahara T, Saleem MA, Ogawa O, Nakao K. Redistribution of connexin43 expression in glomerular podocytes predicts poor renal prognosis in patients with type 2 diabetes and overt nephropathy. Nephrol Dial Transplant 21: 2472-2477, 2006. （4） Miyashita K, Itoh H, Arai H, T.Suganami, Sawada N, Fukunaga Y, Sone M, Yamahara K, Yurugi-Kobayashi T, Park K, Oyamada N, Sawada N, Taura D, Tsujimoto H, Chao TH, Tamura N, M.Mukoyama, K.Nakao. The neuroprotective and vasculo-neuro-regenerative roles of adrenomedullin in ischemic brain and its therapeutic potential. Endocrinology 147:1642-1653, 2006. （5） Wagener G, Jan M, Kim M, K.Mori, J.BaraschM, Sladen RN, Lee HT. Association between increases in urinary neutrophil gelatinase-associated lipocalin and acute renal dysfunction after adult cardiac surgery. Anesthesiology. 105: 485-491, 2006. （6） Schmidt-Ott KM, K.Mori, Kalandadze A, Li JY, Paragas N, Nicholas T, Devarajan P, J.Barasch. Neutrophil gelatinase-associated lipocalin-mediated iron traffic in kidney epithelia. Curr Opin Nephrol Hypertens 15: 442-449, 2006. （1） Suganami T, Mukoyama M, Mori K, Yokoi H, Koshikawa M, Sawai K, Hidaka S, Ebihara K, Tanaka T, Sugawara A, Kawachi H, Vinson C, Ogawa Y, Nakao K. Prevention and reversal of renal injury by leptin in a new mouse model of diabetic nephropathy. FASEB J 19:127-129, 2005. （2） Koshikawa M, Mukoyama M, Mori K, Suganami T, Sawai K, Yoshioka T, Nagae T, Yokoi H, Kawachi H, Shimizu F, Sugawara A, Nakao K. Role of p38 mitogen-activated protein kinase activation in podocyte injury and proteinuria in experimental Nephrotic syndrome. J Am Soc Nephrol 16:2690-2701, 2005. （3） Mori K, Lee HT, Rapoport D, Drexler IR, Foster K, Yang J, Schmidt-Ott KM, Chen X, Li JY, Weiss S, Mishra J, Cheema FH, Markowitz G, Suganami T, Sawai K, Mukoyama M, Kunis C, D’Agati V, Devarajan P, Barasch J. Endocytic delivery of lipocalin-siderophore-iron complex rescues the kidney from ischemia-reperfusion injury. J Clin Invest 115: 610-621, 2005. （4） Hoshino M, Nakamura S, K.Mori, Kawauchi T, Terao M, Nishimura YV, Fukuda A, Fuse T, Matsuo N, Sone M, Watanabe M, Bito H, Terashima T, Wright CV, Kawaguchi Y, K.Nakao, Y.Nabeshima. Ptf1a, a bHLH transcriptional gene, defines GABAergic neuronal fates in cerebellum. Neuron 47: 201-213, 2005. （6） Hanai J, Mammoto T, Seth P, K.Mori, Karumanchi SA, J.Barasch, Sukhatme VP. Lipocalin 2 diminishes invasiveness and metastasis of Ras-transformed cells. J Biol Chem 280: 13641-13647, 2005. 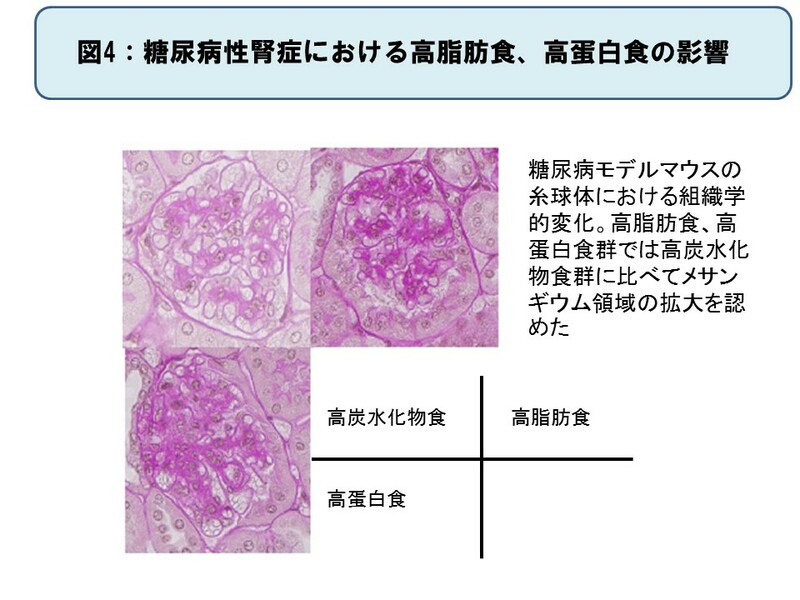 （1） Yokoi H, Mukoyama M, Nagae T, Mori K, Suganami T, Sawai K, Yoshioka T, Koshikawa M, Nishida T, Takigawa M, Sugawara A, Nakao K. Reduction in connective tissue growth factor by antisense treatament ameliorates renal tubulointerstitial fibrosisi. J Am Soc Nephrol 15: 1130-1140. 2004. （3） Mishra J, K.Mori, Ma Q, Kelly C, Yang J, Mitsnefes M, J.Barasch, Devarajan P. Amelioration of ischemic acute renal injury by neutrophil gelatinase-associated lipocalin. J Am Soc Nephrol 15: 3073-3082, 2004. （4） Mishra J, K.Mori, Ma Q, Kelly C, J.Barasch, Devarajan P. Neutrophil gelatinase-associated lipocalin: a novel early urinary biomarker for cisplatin nephrotoxicity. Am J Nephrol 24: 307-315, 2004. （1） Sawai K, Mori K, Mukoyama M, Sugawara A, Suganami T, Koshikawa M, Yahata K, Makino H, Nagae T, Fujinaga Y, Yokoi H, Yoshioka T, Yoshimoto A, Tanaka I, Nakao K. Angiogenic protein cyr61 is expressed by podocytes in anti–Thy-1 glomerulonephritis. J Am Soc Nephrol 14:1154-1163, 2003. （2） Suganami T, Mori K, Tanaka I, Mukoyama M, Sugawara A, Makino H, Muro S, Yahata K, Ohuchida S, Maruyama T, Narumiya S, Nakao K. Role of prostaglandin E receptor EP1 subtype in the development of renal injury in genetically hypertensive rats. Hypertension 42:1183-1190, 2003. （3） Makino H, Mukoyama M, Sugawara A, Mori K, Suganami T, Yahata K, Fujinaga Y, Yokoi H, Tanaka I, Nakao K. Role of connective tissue growth factor and prostanoids in early streptozotocin-induced diabetic rat kidney: the effect of aspirin treatment. Clin Exp Nephrol 7: 33-40, 2003. （4） Yahata K, Mori K, Mukoyama M, Sugawara A, Suganami T, Makino H, Nagae T, Fujinaga Y, Nabeshima Y, Nakao K. Regulation of stanniocalcin 1 and 2 expression in the kidoney by kloth gene. Biochem Biophys Res Commun 310:128-134, 2003. （5） Yang J, Mori K, Li JY, Barasch J. Iron, lipocalin, and kidney epithelia. Am J Physiol Renal Physiol 285: F9-F18, 2003. （6） Mori K, Yang J, Barasch J. Ureteric bud controls multiple steps in the conversion of mesenchyme to epithelia. Semin Cell Dev Biol 14:209-216, 2003. （1） Makino H, Tanaka I, Mukoyama M, Sugawara A, Mori K, Muro S, Suganami T, Yahata K, Ishibashi R, Ohuchida S, Maruyama T, Narumiya S, Nakao K. Prevention of diabetic nephropathy in rats by prostaglandin E receptor EP1-selective antagonist. J Am Soc Nephrol 13:1757-1765, 2002. （2） Yoshimoto A, Mori K, Sugawara A, Mukoyama M, Yahata K, Suganami T, Takaya K, Hosoda H, Kojima M, Kangawa K, Nakao K. Plasma ghrelin and desacyl ghrelin concentrations in renal failure. J Am Soc Nephrol 13:2748-2752, 2002. （3） Goto M, Mukoyama M, Sugawara A, Suganami T, Kasahara M, Yahata K, Makino H, Suga S, Tanaka I, Nakao K. Expression and role of angiotensin II type 2 receptor in the kidney and mesangial cells of spontaneously hypertensive rats. Hypertens Res 25:125-133, 2002. （4） Yokoi H, Mukoyama M, Sugawara A, Mori K, Nagae T, Makino H, Suganami T, Yahata K, Fujinaga Y, Tanaka I, Nakao K. Role of Connective Tissue Growth Factor in Fibronectin Expression and Tubulointerstitial Fibrosis. Am J Physiol Renal Physiol 282: F933-942, 2002. （5） Yang J, Goetz D, Li JY, Wang W, Mori K, Setlik D, Du T, Erdjument-Bromage H, Tempst P, Strong R, Barasch J. An iron delivery pathway mediated by a lipocalin. Mol Cell 10: 1045-1056, 2002. （1） Suganami T, Mukoyama M, Sugawara A, Mori K, Nagae T, Kasahara M, Yahata K, Makino H, Fujinaga Y, Ogawa Y, Tanaka I, Nakao K. Overexpression of brain natriuretic peptide in mice ameliorates immune-mediated renal injury. J Am Soc Nephrol 12, 2652-2663. 2001. （2） Suganami T, Tanaka I, Mukoyama M, Kotani M, Muro S, Mori K, Goto M, Ishibashi R, Kasahara M, Yahata K, Makino H, Sugawara A, Nakao K. Altered growth response to prostaglandin E2 and its receptor signaling in mesangial cells from stroke-prone spontaneously hypertensice rats. J Hypertension 19:1095-1103, 2001. 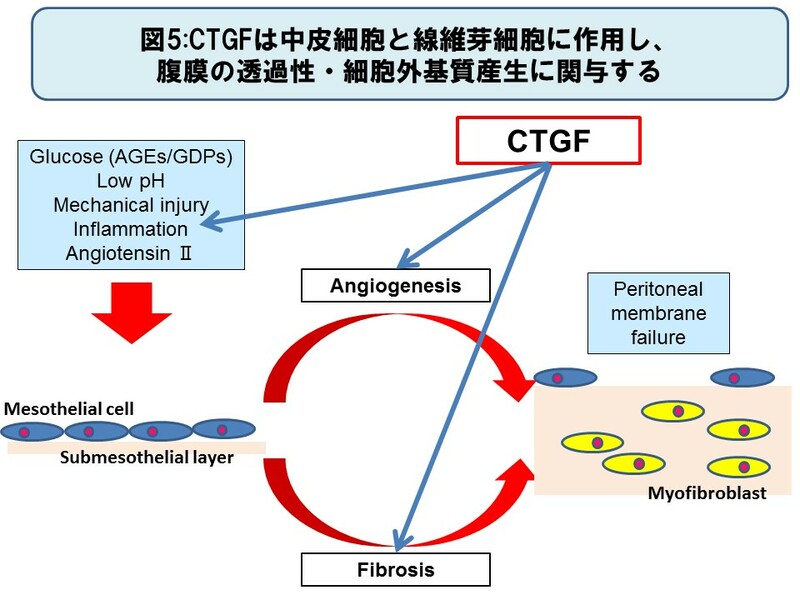 （3） Yokoi H, Sugawara A, Mukoyama M, Mori K, Makino H, Suganami T, Nagae T, Yahata K, Fujinaga Y, Tanaka I, Nakao K. Role of connective tissue growth factor in profibrotic action of transforming growth factor-β: A potential target for preventing renal fibrosis. Am J Kidney Dis 38:S134-S138, 2001. （4） Mukoyama M, Sugawara A, Nagae T, Mori K, Murabe H, Itoh H, Tanaka I, Nakao K. Role of adrenomedullin and its receptor system in renal pathophysiology. Peptides 22:1925-1931, 2001. （5） Nakagawa M, Tanaka I, Mukoyama M, Suga S, Ogawa Y, Tamura N, Ishibashi R, Goto M, Nakagawa O, Sugawara A, Nakao K. Monoclonal antibody against brain natriuretic peptide and characterization of brain natriuretic peptide-trainsgenic mice. J Hypertension 19:475-483, 2001. （1） Kasahara M, Mukoyama M, Sugawara A, Makino H, Suganami T, Ogawa Y, Nakagawa M, Yahata K, Goto M, Ishibashi R, Tamura N, Tanaka I, Nakao K. Ameliorated glomerular injury in mice overexpressing brain natriuretic peptide with renal ablation. J Am Soc Nephrol 11: 1691-1701, 2000. （2） Mori K, Yoshimoto A, Takaya K, Hosoda K, Ariyasu H, Yahata K, Mukoyama M, Sugawara A, Hosoda H, Kojima M, Kangawa K, Nakao K. Kidney produces a novel acylated peptide ghrelin. FEBS Lett 486:213-216, 2000. 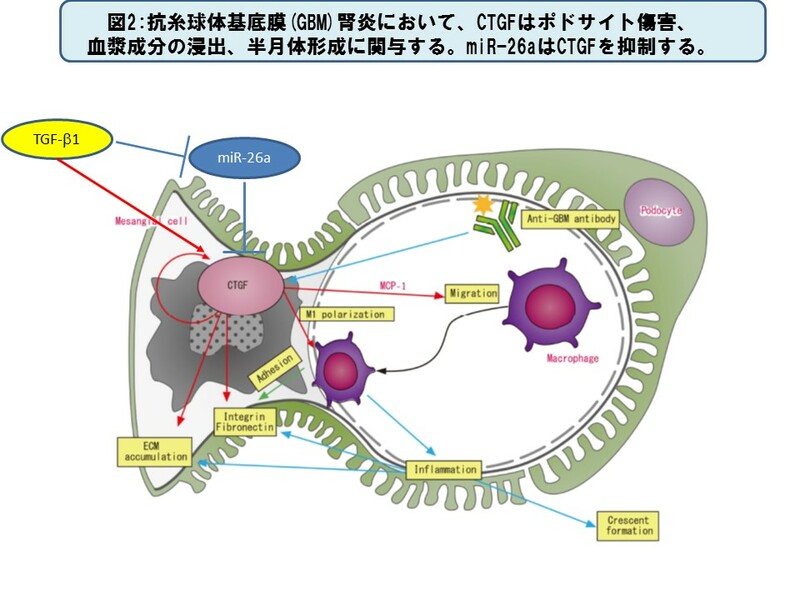 （3） Nagae T, Mukoyama M, Sugawara A, Mori K, Yahata K, Kasahara M, Suganami T, Makino H, Fujinaga Y, Yoshioka T, Tanaka I, Nakao K. Rat receptor-activity-modifying proteins (RAMPs) for adrenomedullin/CGRP receptor: cloning and upregulation in obstructive nephropathy. Biochem Biophys Res Commun 270:89-93, 2000. （4） Mori K, Yahata K, Mukoyama M, Suganami T, Makino H, Nagae T, Masuzaki H, Ogawa Y, Sugawara A, Nabeshima Y, Nakao K. Disuruption of klotho gene causes an abnormal energy homeostasis in mice. Biochem Biophys Res Commun 278:665-670, 2000. （5） Yahata K, Mori K, Arai H, Koide S, Ogawa Y, Mukoyama M, Sugawara A, Ozaki S, Tanaka I, Nabeshima Y, Nakao K. Molecular cloning and expression of a novel klotho-related protein. J Mol Med 78:389-394. 2000.